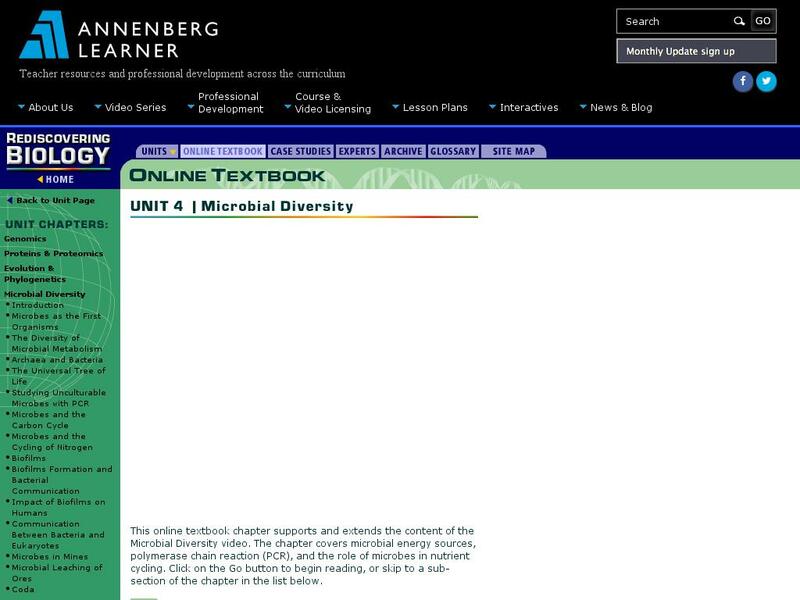 This site features a unit of an on-line textbook. Topics covered include microbial energy sources, polymerase chain reaction (PCR), and the role of microbes in nutrient cycling. Text image and data table figures are included. The user may navigate chronologically through chapter contents or skip to a specific sub-section through links on the index page.